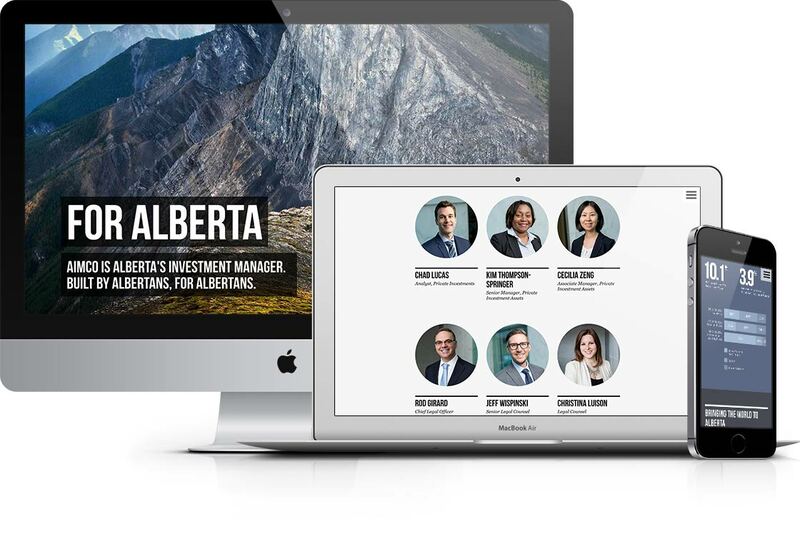 Alberta Investment Management Corporation is a high performing fund manager delivering strong returns on investments for Albertans. 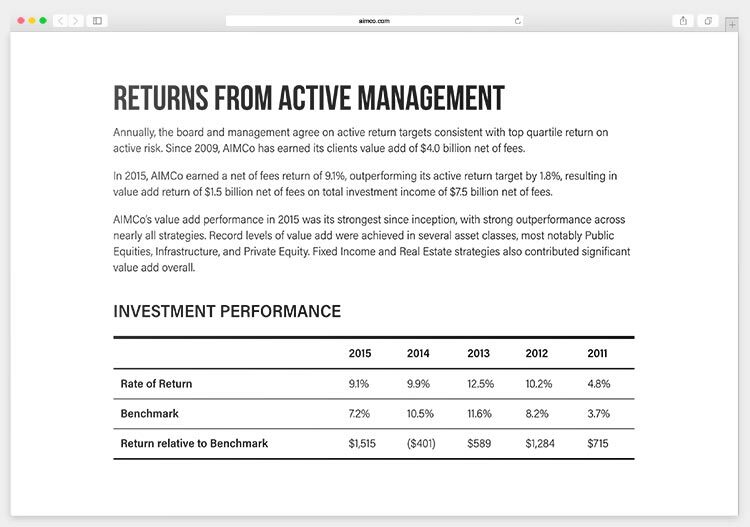 Adam Warner and I were hired by Karo to concept and deliver AIMCo’s 2015 Annual Report. 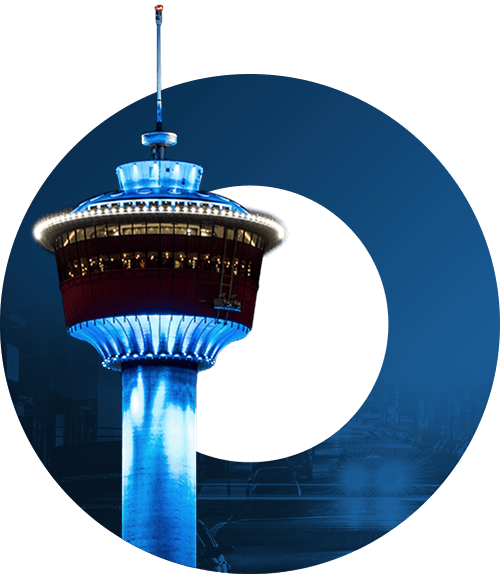 The goals were to inform AIMCo’s clients and beneficiaries of their investments over the past year and reinforce the company’s focus on the future of all Albertans. 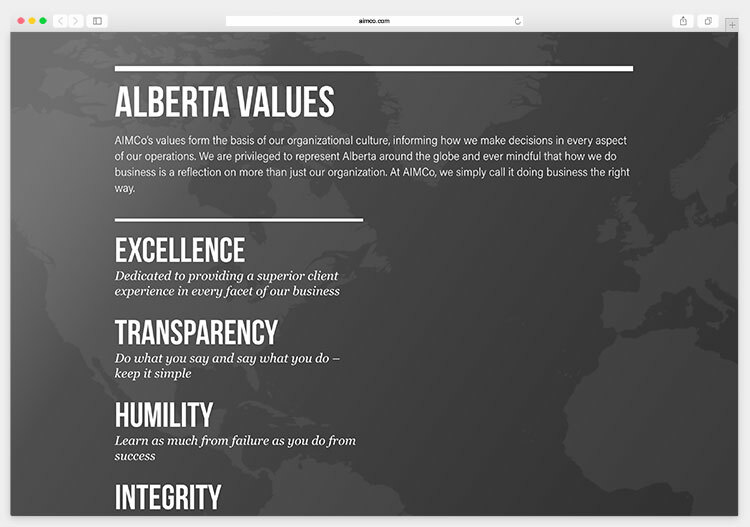 AIMCo’s work is bigger than individuals: its global reach is for the good of the province of Alberta, for the long term. 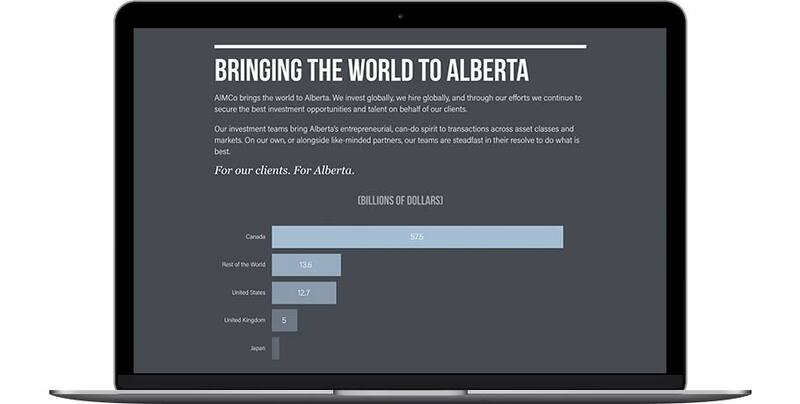 AIMCO is promoting Alberta’s entrepreneurial, can-do spirit across global markets and investments. 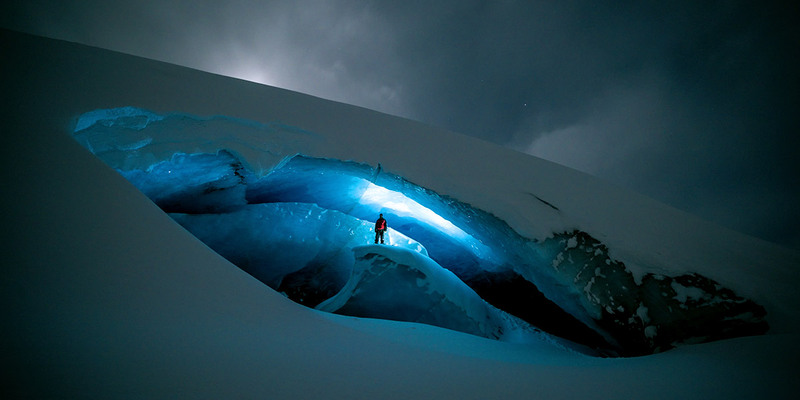 From mountains to prairie fields, ice caves to city skylines, AIMCo’s global investments benefit a diverse range of Albertans. 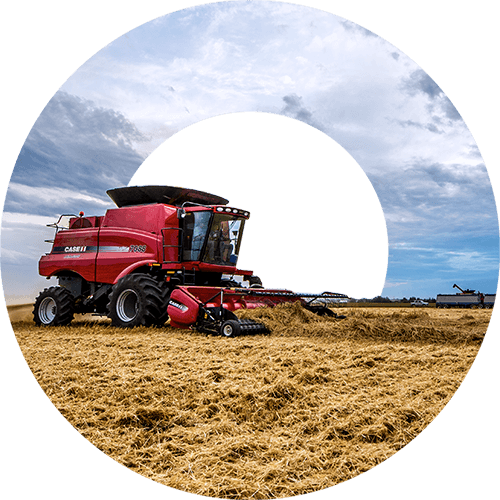 Incorporating the photography into the AIMCo Circle provides a strong design element throughout the website, reinforcing the theme For Alberta and acting as section identifiers. 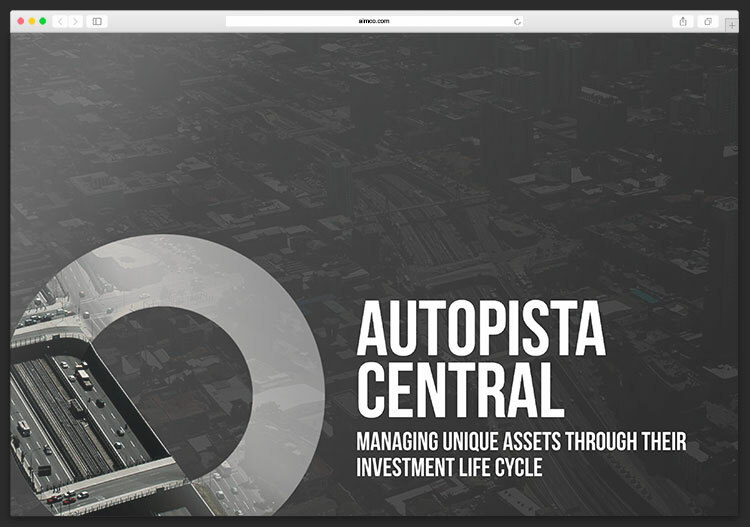 Bold keylines provide a way to separate information and cue important headlines, anchoring the typography to the page. 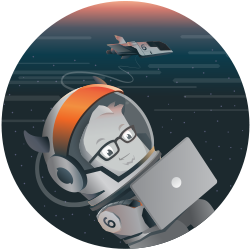 Interactive, dynamic graphs bring the pages to life, achieving more than a static image ever could and encouraging the user to dig deeper. 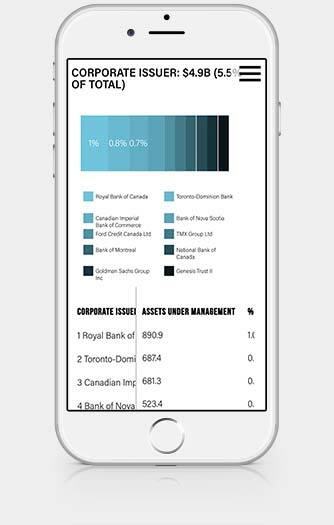 amCharts and Foundation 6 were chosen for their ability to perform well across all platforms and devices. 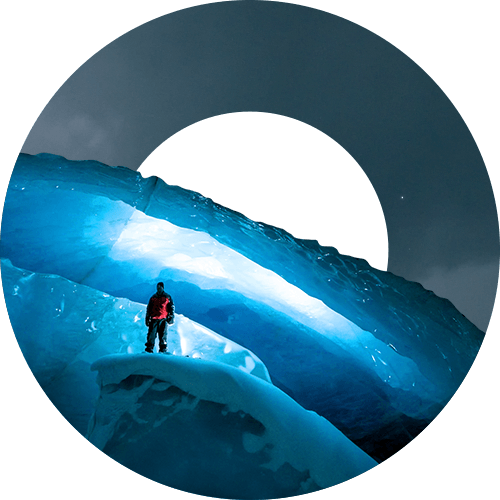 The online report successfully communicates to its core audience of clients, as well as the beneficiaries of those clients and AIMCo’s global partners.